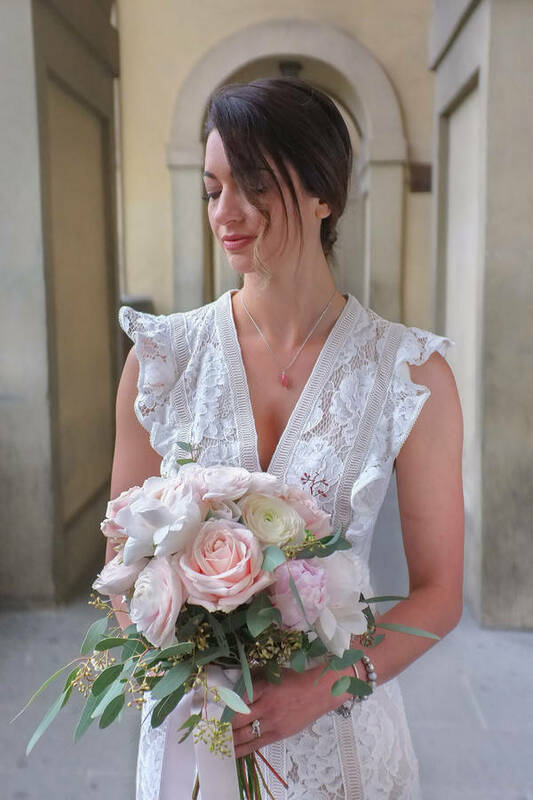 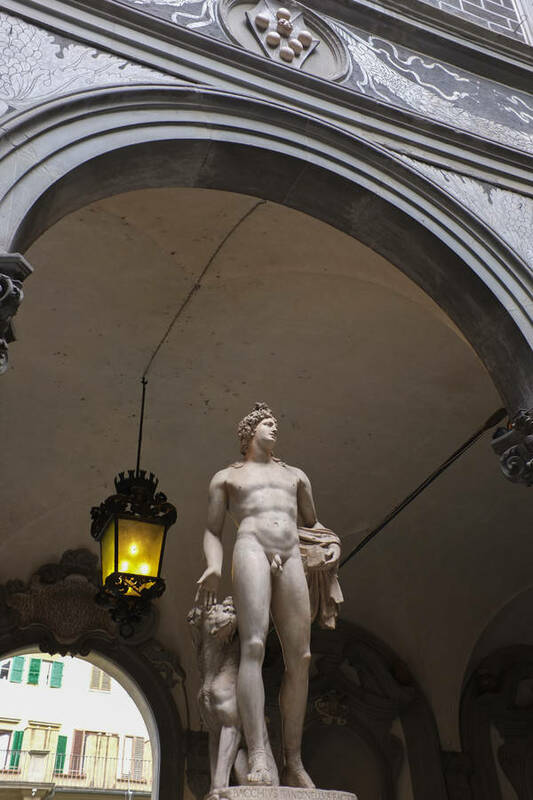 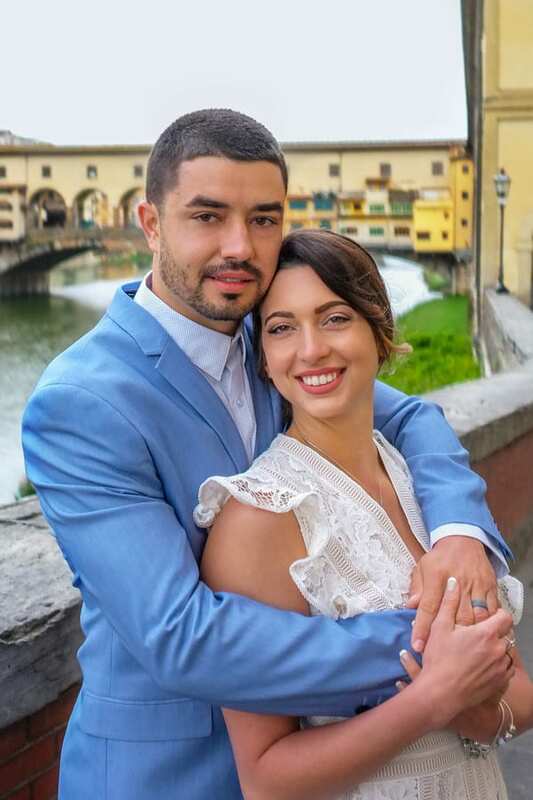 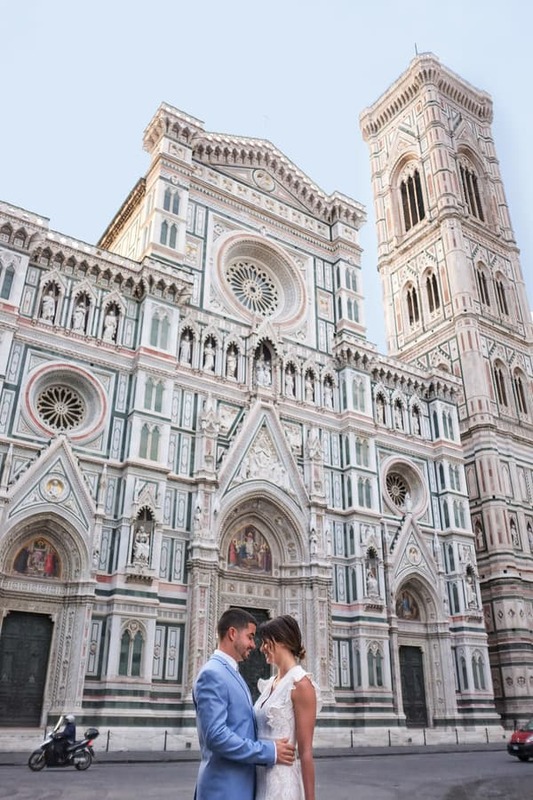 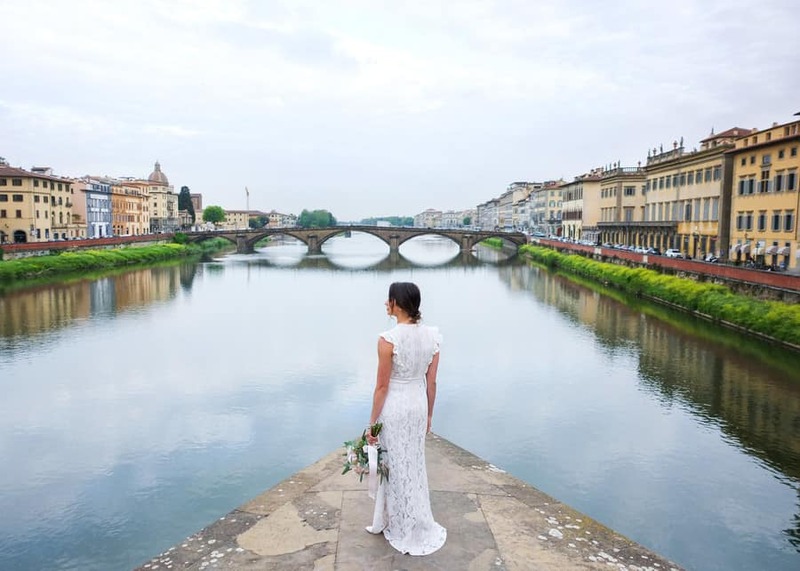 Photographer’s Comments: “I was planning a trip to Florence, Italy (or Firenze, in Italian) and am a part of a travel group and came across Maria, she was eloping in Florence the same time I was going to be there and our dates lined up perfect! 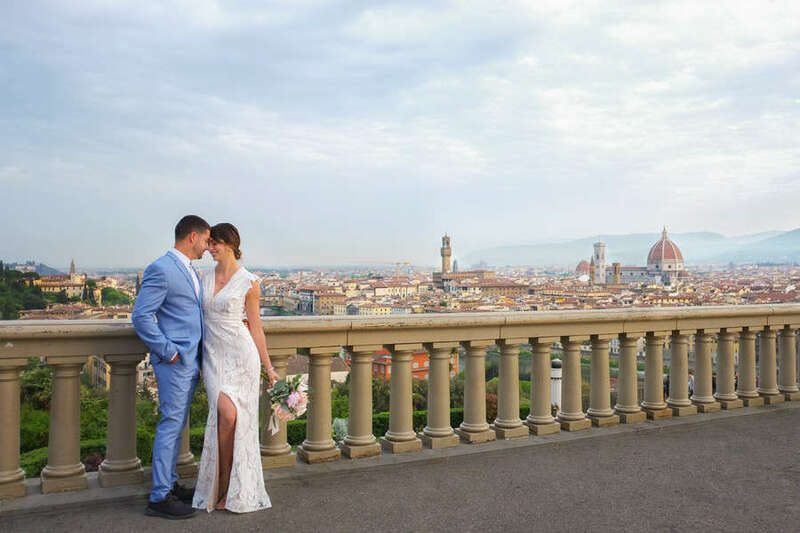 “Maria and her fiance, Ryan, are from Florida and wanted a small elopement with just a few friends. 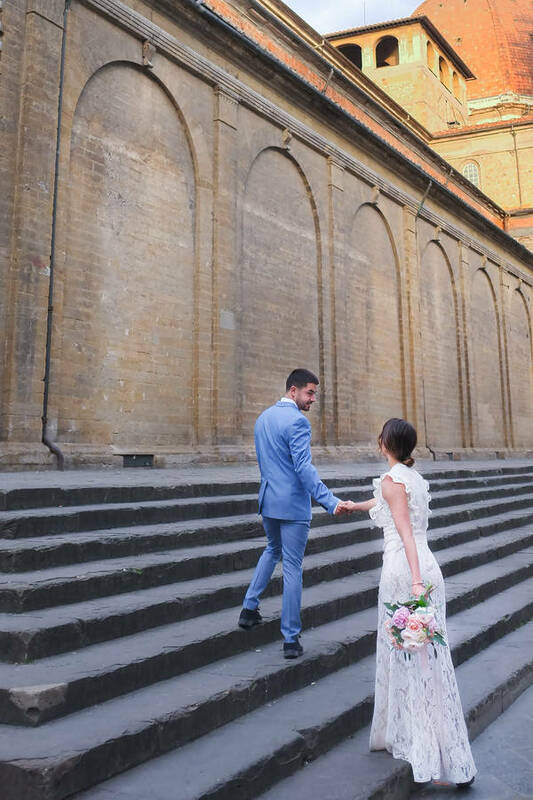 They had a small civil ceremony later that night with friends and we got pictures before I was scheduled to leave in the morning – it really worked out perfect. 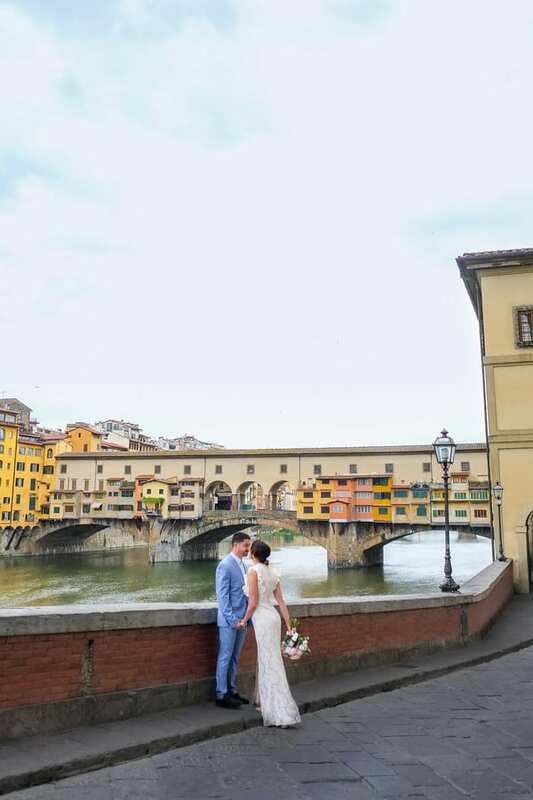 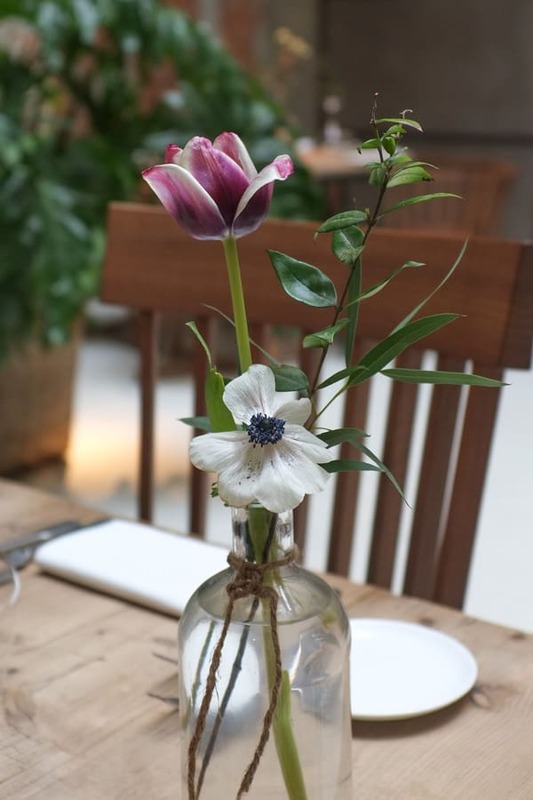 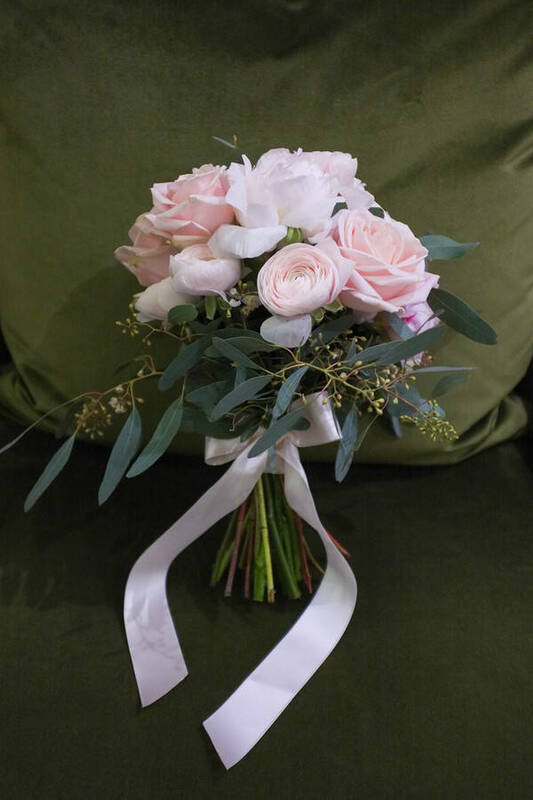 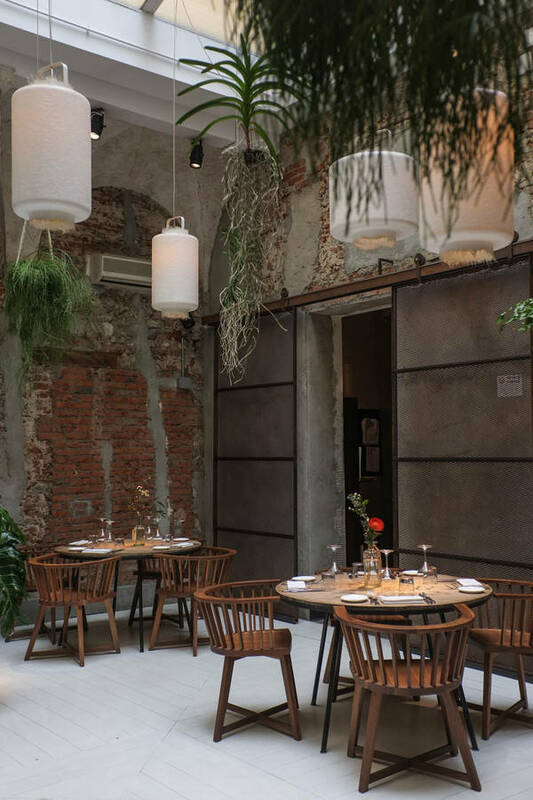 “They packed light & picked up a bouquet from a local florist who shares the space with a restaurant & shop, where Maria & Ryan later had their intimate Italian dinner reception.